Hi, Dear Reader! 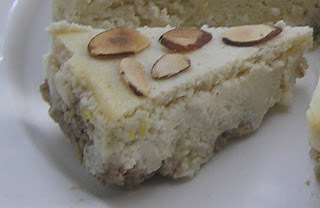 I have a different kind of cheesecake to share with you for Shavuot, then later I'll tell you about my big announcement. ... I've been a little busy. Woo-hoo! 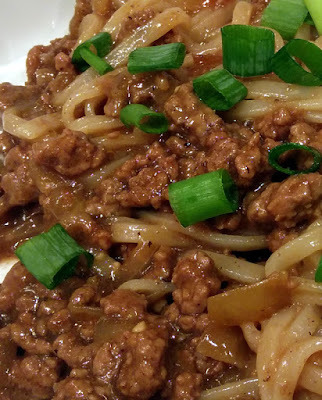 The Everything Kosher Slow Cooker Cookbook will be available at your favorite brick-and-mortar as well as online stores, but don't go looking for it yet. I haven't finished taking all the photos. Plus the recipes still need to be ripped to shreds gently checked for boo-boos by the editors. My cookbook will be available on November 18, just in time for Chanukah. By coincidence, Nov. 18th was the birth date of theHubby's paternal grandmother. His aunt says that this is a good omen. When the publish date gets closer, I'll explain how I snagged the book deal. But I will share a recipe or two along the way, just to keep the excitement up. Okay, end of shameless self-promotion. Shavuot is the holiday where we celebrate the giving of the Torah at Mount Sinai. Foodwise, it it is customary to consume dairy foods. The exact reason is lost in time, but my favorite explanation is to remind us that Israel is the land of milk and honey. 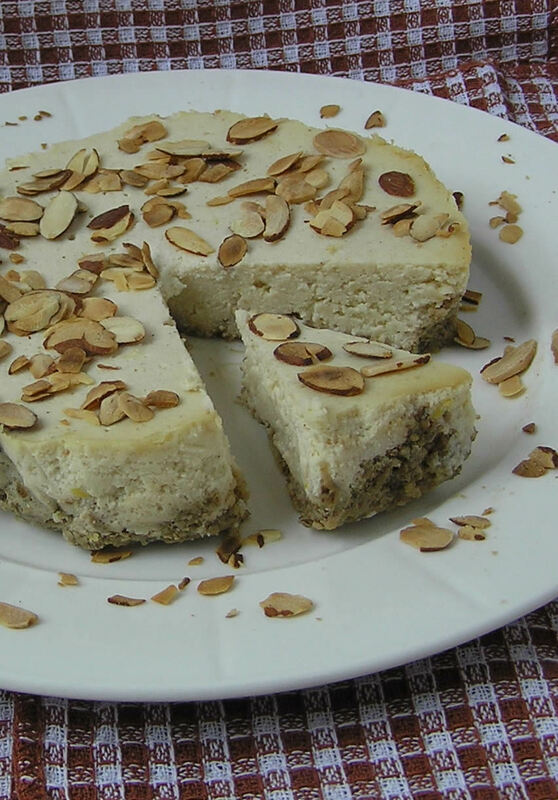 The favorite dessert of Shavuot is cheesecake. I am about to provide yet another cheesecake recipe, but with a couple of differences from those you may find while jumping on the bandwagon and tripping over the intertubes. This baby is made with ricotta cheese, Italian style. Those of you who were brought up on NY style might not care for it. I was and didn't, at first anyway. I've kind of grown to like it, especially after eating all the slices that posed nicely for pictures. 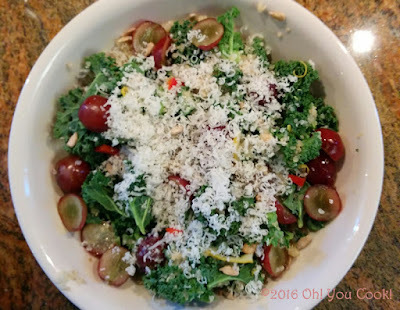 The second difference is that you make this recipe in the slow cooker! An extremely similar one will be found in my new cookbook. Did I mention I wrote a cookbook? Gee, I so love sayin' that. 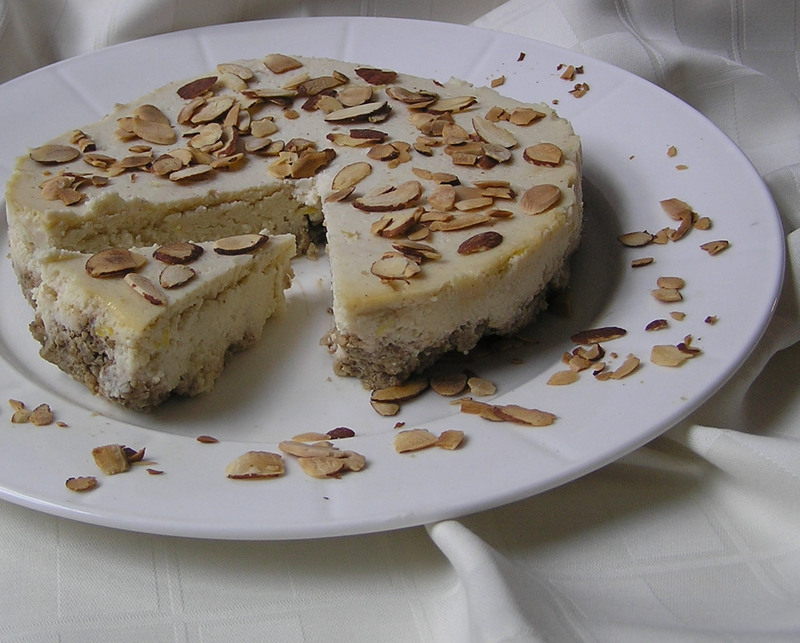 Unlike regular ol' baked cheesecake of any ethnic, a cheescake "baked" in a slow cooker really doesn't brown on top. On the sides a touch, maybe perhaps. So be prepared for the top to look rather pasty in comparison, until you dress it with toasted almonds, toasted coconut or your favorite pie filling. Sorry, but I didn't take any prep photos. So here's a close-up of the finished product. Place ricotta in a colander lined with several layers of paper towels over a bowl. Cover with another paper towel and gently press down. Let drain for 30 minutes. Meanwhile, mix together the ground almonds and butter in a small bowl. Lightly spritz a 6 inch spring-form pan (or a similarly sized pan lined with aluminum foil) with the cooking spray, then press almond mixture onto the bottom and up the sides. Set aside. In a large bowl, mix the drained ricotta, sugar, honey, eggs, vanilla, corn starch, cinnamon, lemon zest and salt until completely smooth. Pour into prepared pan. Pour the cup of water into the bottom of a 4 or 6-quart slow cooker. Place a heat-safe trivet or 3 wadded-up balls of aluminum foil in the bottom of the slow cooker. Place the pan onto the trivet or balls of aluminum. If using the foil balls, press the pan down to level the balls and thus the pan too. Cover and cook on low for 2 hours. 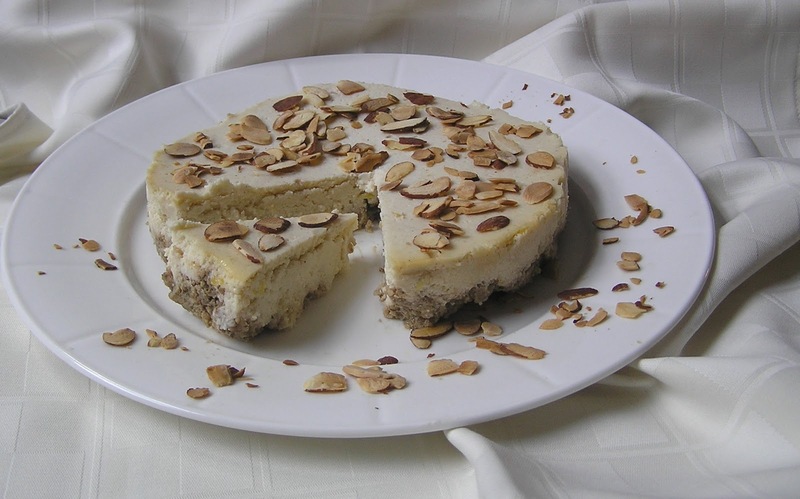 Turn off the slow cooker and let the cheesecake steam for 1 ¼ to 1 ½ hours with the lid on, or until the center is firm. 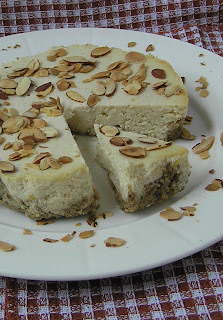 Remove the cheesecake from the slow cooker. 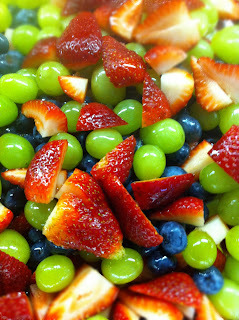 Refrigerate 6 hours or overnight, until well chilled. Dip a table knife in hot water, then run it around the inner edge of the pan to loosen the cheesecake. Unspring the pan or grab the foil and lift it up from the pan, then peel and remove foil. Place cake on serving platter. Scatter toasted almonds over the top before serving.